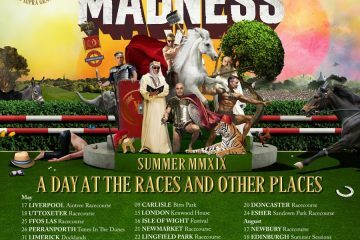 It’s been a long time coming, but this Friday sees the wheels of the Stately Madness summer tour rocket away from the starting blocks. Englefield House in Reading is the first stop on the band’s latest outing, and we hope the good spell of weather continues and serves attendees well. We ask that if you do manage to attend any of the gigs to please knock up a review and send it in. We’ll make sure it’s published in a subsequent issue. Moving on, and we’re fully aware that many of you had pre-ordered the Suggs DVD from Pledge Music but you’re still waiting to receive the finished product. We’ve received the below update from Madness’ management team to send to you all. “If any customer isn’t willing to wait any longer, please contact Customer Services via your pledge and we will process. Thanks, PledgeMusic. We’d like to apologise for the radio silence from us on the delivery of Suggs’ My Life Story DVD. We will have news on a delivery date in the next couple of weeks, but we fully understand if you do not want to wait that long you can request a refund now. Now, one with the issue! Available only for the next couple of weeks. These official Madness T-shirt’s feature lyrics from the Magnum Opus song The Liberty of Norton Folgate. They will be shipped on July 20th, available only for this limited time period. Available in 3 sizes, the profit is going to the Music Venture Trust. New T-shirts are now in stock for the summer gigs. They including a fetching Morris Minor car picture harking back to Driving in My Car video and the Mad 7 number plate, with the paraphrase lyrics From Muswell Hill to Selsey Bill! It was always nice to see a new Madness video, and especially so when it’d clearly had much time and effort put into it. A few days ago the video for Misery was uploaded to the MadtubeMTV YouTube channel, and in that short time it’d already notched-up almost 12,000 views. Looking like an episode of 70’s children’s TV programme, Mr Benn, the video had a real charm to it, and we were certain it’d raise a smile from even the coldest of hearts. In our Live Intensified section we had new gigs listed for the Lee Thompson Ska Orchestra. 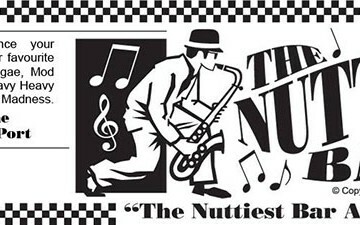 The band would be appearing in Wapping on the 7th September and Sandford, Dorset on the 8th November. This week, and instead of buying it, we were encouraging you to “get it free “as we brought you news of where you could add a free tracks of Madness offshoot bands to your music collections. With the Madness coloured vinyl reissues delayed for a few weeks, we suggested you amused yourself instead with downloads of Heatwave by The Ska Orchestra and Do What You Wanna do by The Magic Brothers. 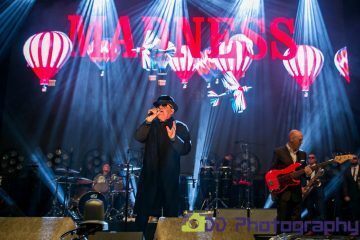 On to Live and Intensified, and this week Mark Robinson was kind enough to review the Madness gig at Newark, while Shannan McBride reviewed the Waterford, Ireland performance. With the band going through an active phase, it would come as little surprise to learn that our Sign of our Times section was packed with numerous articles which had cropped up in the press over the past seven days. In That Facebook, Woody and Nick Woodgate spoke of their recent recording of a film for the ReThink mental health charity. They promised to post a link to the video once it had been edited. Our MIS Feature was a biggie this week. Thanks to subscriber Darren West, he reported on Lee Thompson’s recent performance on the top of Barnet Church. With the dust settling following the recent Hackney gigs, we were certain that people would look back at what had taken place over the past week and realise what a fantastic time it was to be a fan. For those unable to attend the gigs all was not lost, as this issue was packed with extensive Hackney coverage. Not only that, but we also had details of how you could order MP3 wristbands containing audio from each of the gigs. OK, so it wouldn’t be as good as actually being there, but it was surely better than nothing, right? In other news, Jonathan had been busy working on a special podcast to commemorate the fantastic events, and at the time of typing we were promised that a download link would surface very shortly. If you were unable to make it along to the gigs then issue was surely a must read. Featuring gig reviews and write-ups of the accompanying Madmeets, this MIS contained an extensive lowdown of all that went on during the past week. It’d taken a while, but this week Colin Galbraith updated his Magnificent Seven web site at www.themagnificent7.co.uk. “I’ve just uploaded over 100 photo’s from the 2002 tour onto my site which included stage shots but also of the Madmeets in Newcastle and London and the world famous McMadmeet in Glasgow. Check them out at http://www.themagnificent7.co.uk and let me know what you think”. 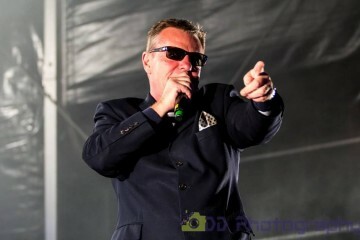 News in from subscriber Suggsylia was that on Saturday 28th, the one and only Suggs made an appearance at the world famous Glastonbury concert. 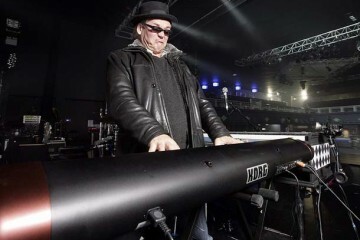 Apparently our Graham was onstage with the legendary Jools Holland, and performed a live rendition of the brilliant `Oranges and Lemons Again. “The BBC Southern Counties Radio interview with Ian Reddington (Joe’s Dad in Our House) and myself, took place at midday yesterday. Owing to a technical hitch, they were unable to have both Ian and myself on air at the same time which meant they were unable to do the head to head quiz as planned. Ian was on first and was caught out a bit on the first question when asked are you a Madness fan, answers “No, not really!”..nice one Ian! Rather embarrassingly, I got the impression that the interviewers hadn’t been told that Ian had previously had quite big part in Eastenders and this seemed more apparent when they asked him what work he had done before Our House …he replied “22 years of acting!”. Ian had some interesting news to announce on Our House, that in addition to the national tour, the show will now also be going to Canada. Ian and no doubt many others of the original cast, are planning to stay with the show as it tours the country. In addition, he confirmed that Miramax are still considering making it into a film, can’t quite imagine how this would turn out. 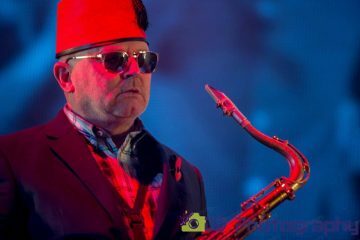 I then followed after Ian, and managed to get a plug in for Madness’ appearance at the Guildford Festival in 2 weeks time, as well as the possibility of another Christmas Tour in December. Was then asked a number of Madness quiz questions which came courtesy of Colin Galbraith’s www.themagnificent7.co.uk website. I was tripped up on one question though; “Which video had Super Yob in it?”, answering ‘Shut Up’, I was told the correct answer was ‘It Must Be Love’…Colin, are you sure this is right, or was it in both? Now recovered from the event, subscriber Adrian Bell sent us his review of the recent Like Father, Like Son gig he attended on the 20th of June. Finishing up with “Lee, stick to Madness!”, we got the distinct impression that he didn’t think too much of this most recent Madness off shoot. Moving on, and news reached us revealing that Alton Towers had been closed for Saturday and Sunday 28th/29th of JUne, owing to a private party taking place at the park. 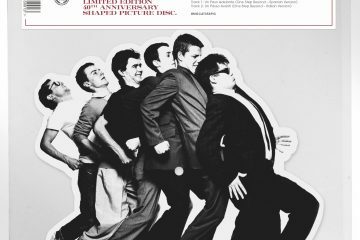 Madness Trading Ring subscriber, Emma Spate explained that the party was held for British Telecom, who not only had enough money to book the park for two whole days, but they also had enough cash to get Madness there for an outdoor performance! “Just a quick note to say that we won’t be appearing at P.I.T.P on July 6th. This is because we were going to do it in conjunction with the cast from the musical! As you know, the musical is closing so it seemed a bit silly to do it. (As much as I love: Atomic Kitten, Beyonce, Big Brovaz, Blazin Squad, Blue, Busted, Craig David, Daniel Bedingfield, Danni Minogue, David Gray, Gareth Gates, Girls Aloud, Kym Marsh, Liberty X, Meatloaf, Mel C, Mis-Teeq, Shania Twain, Simply Red, Sugababes, Wheatus, Will Young! They are all close personal friends of mine!)”. We finished this issue with a brief review from Steve Saunders, who gave us the lowdown of what went on during the Tower Records signing, and how when he got there he couldn’t find a queue, so formed one! 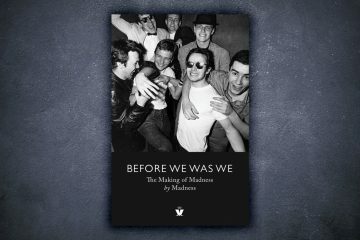 With Madness due to play Bonn on Friday 4th of July, and Guildfest the day after, we were all looking forward to next week’s MIS being full of gig reviews. The current Madness album of One Man’s Madness by Lee Thompson is now hitting the charts, and this record includes some solo tunes from Lee too. So issue 999 of the MIS seems a fitting time to look back at a Crunch Single. This week a radio bleep version of It’s Ok I’m a Policeman aired on BBC6 music. Hilariously Lee in the studio Live still managed a couple of minor rude words in the afternoon slot, so nearly arrested by the swear police! Here’s Paul Tadman of the band, now to tell us about the songs Video. The song features an Elvis quote you see, from an early sun recordings track called Milk Cow Blues. ” The video shoot was the first time I’d worked under the directorship of Jeff Baynes – what an Eye he has. No wonder he’s a BAFTA award winning cameraman (not a lot of people know that). As can be seen here with a look at the handwritten lyrics on the Crunch website. 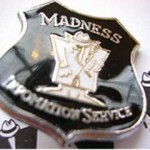 You can stream it now from Lee Thompson’s One Man’s Madness album. I’d never really heard of Prince Buster until about ’71, so he’d been going long before that. You’d have to travel to get your reggae records – from Kentish Town you’d have to travel several miles to Brixton or Willesden. They never had it in the shops. It was that early. But once Desmond Dekker and the like started charting, they held up their arms to it to various distributors. But I found an Aladdin’s Cave of singles, a treasure trove down in Upper Street, when it was a proper old pre-gentrified area, finding a load of records on Firefly, Punch, Fab, Blue Beat, Blue Ska, Melodisc. From the opening credits, which are a faithful homage to the classic era of British comedy, referencing everything from the Ealing comedies of the 40s and 50: to variety shows of the 60s and 70s, it is fairy obvious that One Mans Madness is not your typical music film . Adopting a mockumentary approach in which Lee ‘Kix” Thompson not only talks at length on this DVD with unflinching honesty about his Iife and career, but also “plays’ various characters from his life in a genus twist on the talking heads style rockumentary. During a misspent youth, Thompson served a 14 month stint in Chafford Approved School for petty crimes. On his release, Thompson become a recognisable face about town, renowned for his inherent sense of style. 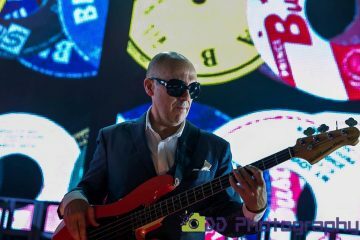 He threw himself into London’s live music scene where characters such as Don Letts and Ian Dury inspired him to pick up the saxophone and create ‘that nutty sound, which would become the trademark of his future band. It is truly entertaining and original – just like its subject. This Wednesday Terry Edwards and Mark Bedford will be appearing as part of the Rock and Roll Book Club at the Dublin castle talking about One Step Beyond. Tickets are just £7 and still available. And finally, next week sees issue 1,000 land in your mailboxes and it’s taken a whopping 19 years to get here! It’s going to be a packed issue, and one you’ll not want to miss.